Every moment of a sunset is climactic. This scene features a sunset with the sun nearing the horizon. Above it whispy clouds fill the sky forged in the warm tones that graduate from a subtle orange, leading to pastel pink and ending at a strong purple. 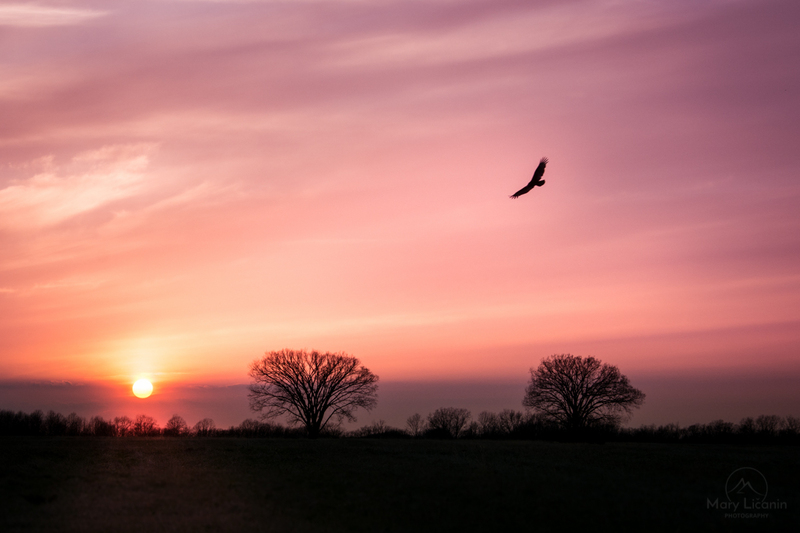 This impactful early spring sky serves as a backdrop for a pair of bare-branched trees, and a wide-winged hawk that soars above them.